The use of the term “Stylpoint” is similar to Waterman’s “Taperite“, in that it describes a feature rather than a pen. It is a semi-hooded point with a notched cut-out, and it appears in pens of many price-levels. It seems to appear in about 1957, and makes intermittent appearances into the 1960s. 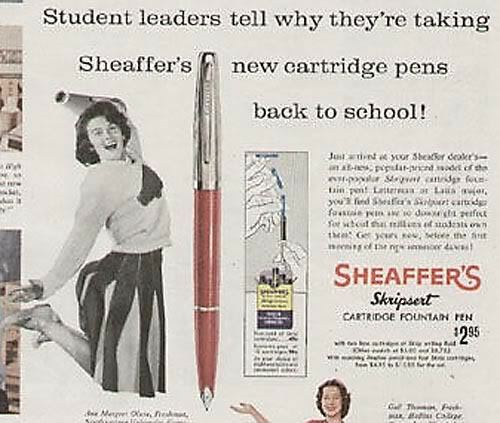 It is most usually seen in Skripsert pens, as in the ad here, but appears in slightly more elevated models like the Imperial I.